The writer behind BBC One show, Bodyguard, has revealed they’re considering three more series of the gripping drama. 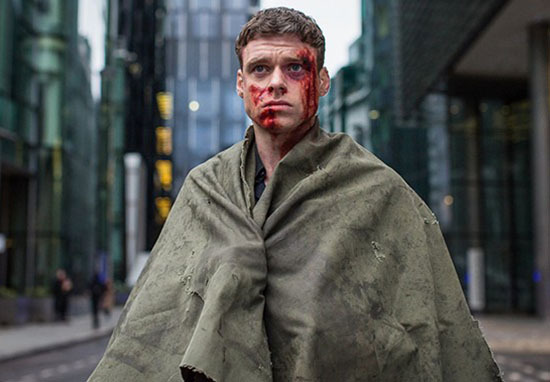 Bodyguard fans are no doubt left wallowing this morning as the cliffhanger-filled show reached its dramatic finale last night, (Sunday 23 September) meaning Sunday nights are back to being mundane. Luckily, it’s been revealed there’ll be more to come from the hit show, as writer Jed Mercurio has said there could be up to three more series on the way. We have been very fortunate with the success of series one. It’s probably fair to say we would probably approach any thoughts of a second series with the idea that it would create an opportunity for a third or fourth. To adopt a sporting phrase, we kind of decided to leave everything on the field for series one. If the ratings hadn’t been quite so high, then possibly everybody involved including the BBC would have said, ‘Well that was a nice little series but we’re just going to leave it at that and there won’t be any more’. So you are a hostage to fortune in that sense. And we do feel very privileged and fortunate that there’s been such a response that it gives us that opportunity to at least think about doing more. Bodyguard, which stars Keeley Hawes and Richard Madden, has become the biggest drama for more than a decade with more than 10 million viewers tuning in every week. The finale treated viewers to a 75 minute long episode, wrapping up all unanswered questions. Jed also works on BBC’s Line Of Duty, which is currently in the works for a fifth season. Unfortunately, this means Bodyguard fans will have to wait until Jed has finished working on Line Of Duty before he can take on Bodyguard season two. I’m really not going to speculate on that because there’s so many factors that would go into it. It’s all about the script development, the production schedule and a whole bunch of things that are all part of a giant jigsaw puzzle which have to be put together with any production. Either way, we can’t wait for the return!